Everyone thought Beth Ann Bennet and Dr. Will Darcy had an unexpected romance in Pride, Prejudice and the Perfect Match (Perfect #1). 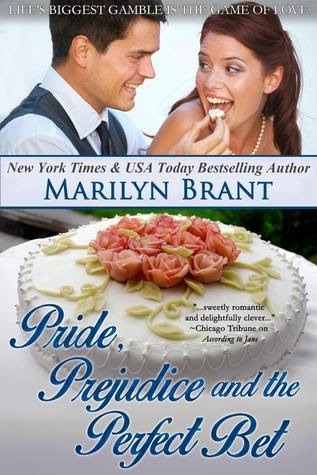 Now, Beth’s best friend, Jane Henderson, and Will’s first cousin, Bingley McNamara, begin their own unlikely love story in Pride, Prejudice and the Perfect Bet (Perfect #2), which starts at the Bennet/Darcy wedding when the two of them find themselves in the roles of maid of honor and best man for the newlyweds. As for Bingley, he’s a wealthy, flirtatious, compulsively social guru of finance, who likes to wager on stocks and, let’s face it, on just about anything that strikes his fancy. But this dedicated ladies’ man may have finally met the woman who’ll challenge his bachelor ways! Bingley couldn’t help but sneak a few more looks at the fiery maid of honor, remembering the way they’d first met four months ago. Jane had seemed so…nice, for want of a better word. Too sweet for him to want to tamper with or tease too much, although Beth hinted there was more to Jane than her pleasant veneer might suggest. He hadn’t believed that at first but, oh, he believed it now, as she swiveled to face her friend, sending another death stare in his direction, then a much kinder, warmer look to his cousin. “You’re gonna be really happy, Cuz,” he whispered to Will, who was smiling at his bride Beth as if he’d just won the lottery and it was being hand delivered to him in a pretty package of white tulle. Bingley swallowed away a sappy emotion he didn’t want to succumb to in public and clenched his jaw to keep from saying anything either overly sentimental or just plain stupid. Much as the whole commitment thing gave him hives, Bingley couldn’t have been happier for Will. The guy deserved every ounce of wedded bliss. “Anything for you,” he finally managed, meaning it, but unable to stop the wave of irritation that hit him in the gut when he caught Jane rolling her eyes at him from the periphery. She wore some really racy undergarments beneath her simple, classically cut clothes. She could do several wickedly imaginative things with her tongue. Both excellent discoveries, in his opinion. But her emotions jumped up and down like an insanely volatile stock during a wild trading day. Bingley exhaled and tried to stop his mind from playing the X-Ray Vision game every time he caught a glimpse of Jane standing demurely by the altar. Although, how could he keep himself from wondering if she had that leopard-spotted bra on underneath her red dress, like the one she’d been wearing in July, hmm? Or, why she had all but sprinted away from him when he saw her again a few days later, and why she’d studiously avoided him at the few other events they’d both had to attend since then… They’d barely made it past second base at the engagement party. Was she embarrassed? Had he unknowingly done something wrong? C’mon, man, get a grip! He knew from years of experience that he was better off not caring about what women thought of him. Keeping his emotions out of any relationship was the key. Seeing Will with Beth together had lulled him—temporarily—into believing that whole “happily ever after” thing might happen for him, too. Their connection through that online dating site had encouraged him—briefly—that a “Love Match” wasn’t impossible. So he’d entertained the idea of dating more seriously when he met Jane. He knew what he was: a lifetime bachelor. And there wasn’t a woman in the world who could snag his heart long term. He’d be willing to bet on it. Still, he had a few assets. He was young, reasonably good looking, wealthy…and he sure as hell didn’t need a pseudo-sweet, temperamental, psychologist chick blowing him off, especially after he’d let his guard down long enough to get close to her one hot summer night. Wouldn’t happen again. Besides, this was a wedding. There were plenty of smart, beautiful babes to be found—it’d be like cherry picking blue chips in a bull market—and he was the guy to find them. The sooner the better. Marilyn Brant is a New York Times & USA Today bestselling author of contemporary women’s fiction, romantic comedy & mystery. 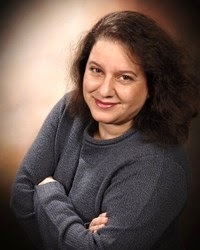 She was named the Author of the Year (2013) by the Illinois Association of Teachers of English. She loves all things Jane Austen, has a passion for Sherlock Holmes, is a travel addict and a music junkie, and lives on chocolate and gelato. So readers, what do you think? This isn't my normal read, but I do like Ms. Brant's work. Now what I'm going to tell you next doesn't happen often. When choosing an excerpt from those provided by an author, lots of times there's only one clear choice. That's not to say a book is bad, but merely the overall tone does not come through in the chosen excerpts. For this book, I was presented with three, and I had a very hard time choosing. They were all so good and really set the tone for the story. I'm adding this to my TBR because the characters seem like an interesting match. I really wish I could share more than one excerpt. Trust me though, they were all quite amusing. Kimber Leigh ~ I can't tell you how much your comments about the excerpts made me smile :). THANK YOU. I'm thrilled you enjoyed them!! And many thanks for being part of the book blitz, too! I always love a good romantic comedy and this seems like the perfect one. :) Thanks for the giveaway! Laughter is great for the soul! I love all of Marilyn's Austen-Inspired books, lovely! This is going to be another good idea. I have put it on my TBR list. I know. I'm looking forward to reading it.